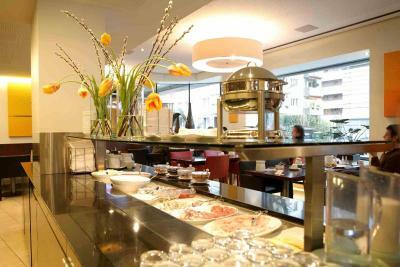 Lock in a great price for Sorell Hotel Seefeld – rated 8.8 by recent guests! Great neighborhood and an easy walk to and along the lake into town. Really lovely spot. Just 2 minutes from the lake. Beautiful people and friendly staff. Great breakfast. The location is great, spacious and clean room, great breakfast, superb service minded staff both at reception and breakfast restaurant. Very helpful and pleasant staff! Clean and well set out room. 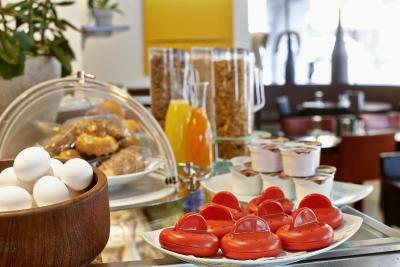 the breakfast was good, but in my opinion lacking of some stuff like: a biger variety of bread, pancakes and bacon. The room was very big for standard double room, with two sinks in the bathroom, comfortable bed and nice duvets. For 3 stars+ it is a very good hotel. We were group of friends and some of them were living also in the 3 star hotel and the conditions were quite different. 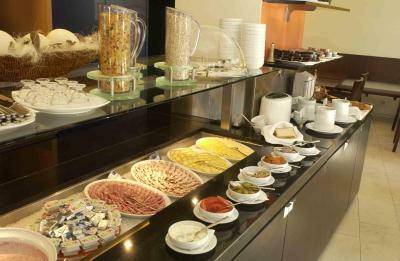 The breakfast was ok. You can boil eggs, there is omelette, cold cuts, corn flakes, freshly baked pastries. The staff was very polite and helpful. Distance to the lake and promenade about 3 min walk. 20 min walking to the centre or 5 min by tram number 2 or 4. Location was close to friend's home; close to Lake Zurich and downtown area, and close to a Church for Sunday Mass. We arrrived early and were able to leave our luggage until later in the day. It's a good hotel for an area that is bare of hotels, as it is a residential area for the most part. Five minute walk to Lake Zurich. Perfect location during the summer season. Front desk and restaurant staff were all very kind and attentive. The hotel has a little charming gym with direct access to the hotel small rooftop terrace. Breakfast is good and during the weekend it’s until 11:30am. 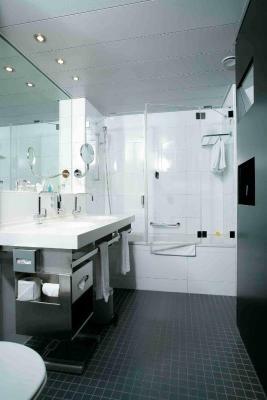 Rooms are well equipped, clean and toiletries provided are from famous brand Ritual. 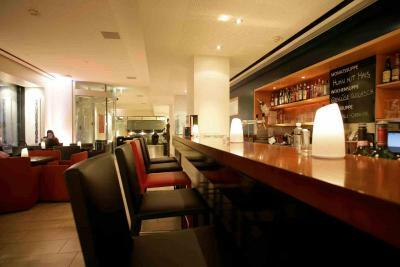 Sorell Hotel Seefeld This rating is a reflection of how the property compares to the industry standard when it comes to price, facilities and services available. It's based on a self-evaluation by the property. Use this rating to help choose your stay! 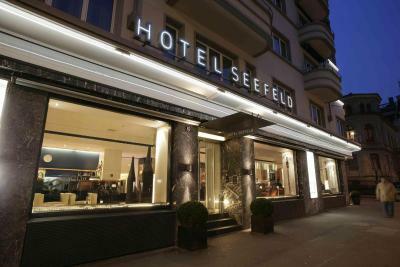 The Sorell Hotel Seefeld is located in the pleasant district of Seefeld in the heart of Zurich and features its own underground garage. From the Seefeld hotel's roof terrace you can enjoy a fabulous view of the city, Lake Zurich and the mountains. At lunchtime the attractive Designer Bar offers soups and cold snacks, while in the evening it is the perfect venue to meet friends for aperitifs or for a nightcap. 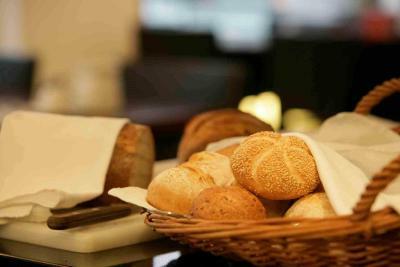 On Saturdays and Sundays breakfast is served until 12:00 (weekday until 10:30). Wireless internet and internet via TV cable is available in the entire hotel and there is a free internet station in the lobby. The fitness center is accessible free of charge. There is a hotel bus for transfers to and from the airport, and a direct tram connection (line 4) to the main railway station. 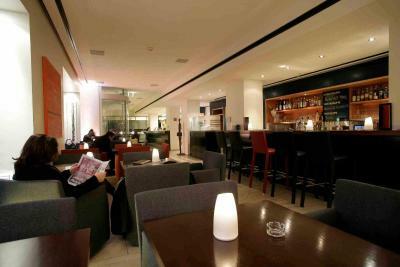 When would you like to stay at Sorell Hotel Seefeld? This stylish room with a private bathroom also has a minibar. 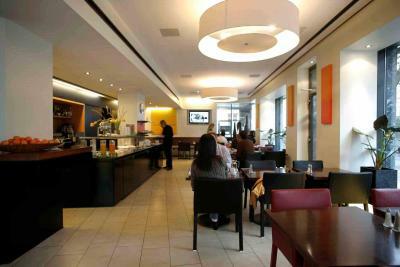 The rate includes use of the fitness room and of the internet station in the lobby. 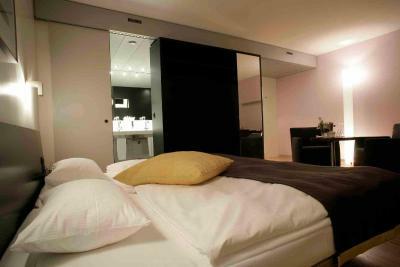 Stylish, room with private bathroom with a minibar. Rate includes use of the fitness room and of the internet station in the lobby. Large and stylish room on the highest floor. 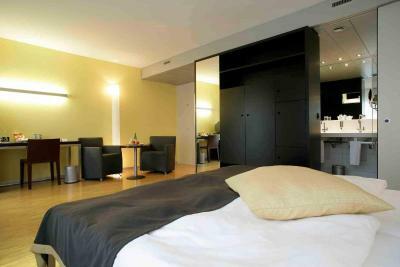 This stylish room with a private bathroom also has a minibar and a small double bed. This rate includes use of the fitness room and of the internet station in the lobby. This room features a 5 ft-wide bed, a modem/fax connection (analogue and ISDN) and an answering machine (voicemail). This room offers lots of space. Rate includes use of the fitness room and of the internet station in the lobby. This single room has a satellite TV, mini-bar and electric kettle. This twin room features a balcony, electric kettle and seating area. This double room has a balcony, flat-screen TV and electric kettle. House Rules Sorell Hotel Seefeld takes special requests – add in the next step! 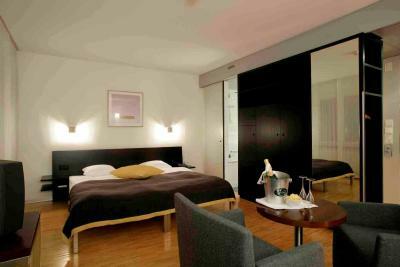 All children from 2 to 16 year are charged CHF 40 per person per night for extra beds. All older children or adults are charged CHF 50 per person per night for extra beds. Sorell Hotel Seefeld accepts these cards and reserves the right to temporarily hold an amount prior to arrival. Extra beds and a parking spaces (for an additional fee) are available upon request only. Weirdly didn’t have room service over the weekend. No hairdryer in room or Tea & Coffee making facilities. Available on request I assume? Bed & pillows quite basic also furniture in room. Experienced much better in other hotels for the price but also aware of worse. On the whole good but not special! Staff very polite and breakfast okay. The bed wasn‘t very comfortable and seemed small for two. Overall not a huge issue, but could be improved upon. 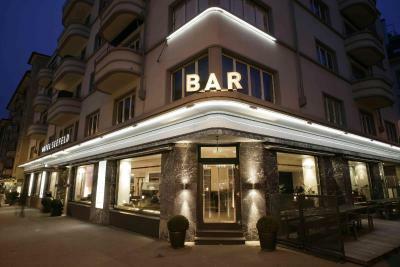 Down-to-earth hotel with very friendly staff, a nice bar and located in walking distance to the lake and city center. Rooms feel a little basic. But that shouldn't be a problem if you are looking for a great location. Very nice place, centrally located and value for money with all basic facilities. Highly recommend. Staff in the restaurant serving the breakfast was just amazing! The restaurant and bar were not open but that is to be expected over the holiday season. The hotel was in a great location. The staff were extremely helpful and friendly. The lady serving breakfast was very pleasant. 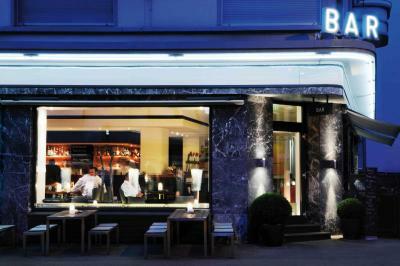 The friendly welcome and service, the nearness of the private car park at the back, the situation - just a short tram ride from Zurich Centre - and the nearness to the lake for a walk along the lakeside.